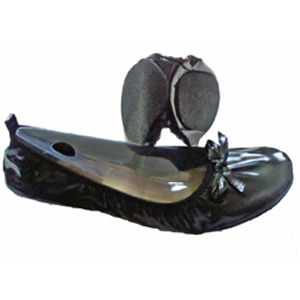 High heels, kitten heels, hidden wedges, cork wedges, vegan styles, strappy sandals for the prom, blue wedding shoes, what’s in? What’s out? What’s on the runway? What’s walking down Hollywood Blvd. or up Fifth Avenue? The Shoe Lady will find out and let you know. Five of my bridesmaids are wearing a pewter dress and the other three are wearing royal blue . 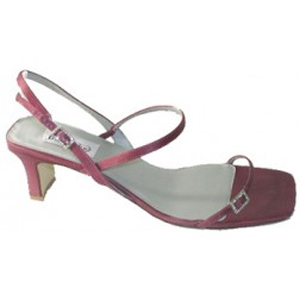 What color shoes should the girls in pewter wear ? It’s a one strap satin dress right above the knee. The girls in royal blue have a floor length, long dress. I wanted the girls in pewter to wear a pop color like blue shoes or something . Not sure. Please help me . Any suggestions on color and style ? The shoes come with a fabric swatch for test dyeing. The bold colors look terrific. If your colors are royal blue and pewter, what color(s) are your flowers? Let’s say they are hot pink or orange? Why not get shoes to match your flowers? Or a third accent color you are using at the wedding? Not knowing your taste or color scheme, or venue… I would run these ideas by whomever is helping you plan the wedding, including your bridesmaids. The nice thing about dyeable shoes, you can dye them to match the royal blue dresses (for example) and then those ladies can dye them again to the color of their choice. Here’s how you do this. Buy the dyeable shoes. Make sure they fit. Take the shoes, with color swatches you like, to a good full service shoe repair shop. (Look in the phone book or online. Shoe repair shops used to be on every corner practically, but not any more.) The shoe repair person can dye the shoes (and also adjust the fit, like making the shoes a bit wider for bunions, etc.) Expect the dyer to take about 2 extra days to let the shoes dry. So don’t wait too long to take them in. PLEASE! Do send as a picture of the results! It sounds like it is going to be a beautiful wedding! The Shoe Lady wishes to share her discoveries from the recent national shoe show in New York City, FFaNY – Fashion Footwear Association of New York. With Fall coming on quickly, the first report will be about boots. This looks like a great year for boots of all kinds, low heeled riding boots, mid heel ankle boots and high heel platform sole boots are all looking strong. We love that all these styles come to size 12, at minimum. 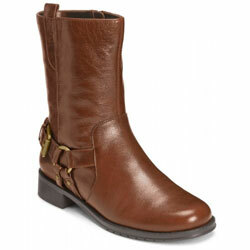 The Naturalizer slouch style is available in regular calf or wider calf widths (wide shaft). These three styles, biker, platform with cut outs and slouch, are the trends The Shoe Lady noticed most. Available in leather or suede. Colors include black, taupe, dark brown or navy. Thigh high stretch boot with high stilleto heel and platform sole. Faux leather looks like patent. 1. What kind of shoes are appropriate for “business attire”? You’ll watch hundreds of women walking by in slacks and skirts, wearing slingbacks, ballet flats, high heeled platform pumps, round toes, pointy toes and more. You decide the look that is right for you. Feel free to judge. Perhaps some of these styles are NOT appropriate for “business attire”. Let us know. Tailored accents on vamp add visual interest. 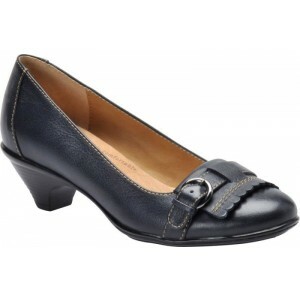 Classic career wear pump in sizes 4 to 12, width AAA to WW. 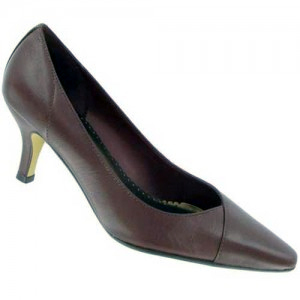 Great choice to wear with a red dress for business attire, a la Sheryl Sandberg. Where Can I Find the G.Wiz Brand “Bailey” Fishermen’s Sandals?